Turning to outdoor activities has always been one of the greatest rejuvenators and relaxants for the human race. The love for adventure activity holidays and enthusiasm toward getting closer to nature has been on a considerable rise during the past few decades. Modern lifestyle filled with its own stress and strain calls for occasional, if not frequent, unwinding and loosening up. What could be more effective in this regard, than challenging and refreshing outdoor activities such as trail running, cycling, hiking, walking, climbing and camping among others? Now here’s where you need to consider a word of caution-about staying in touch with your loved ones all the while you take up such daring activities. And what better way is there to ensure that your proximity is being tracked completely, assuring your security and safety, than the innovative trail tracker app? In the awesome journey of technology across varied fields of professions and different activities in individuals’ lives, mobile apps have attained one of the most significant spaces. With mobility solutions, the standard of human life has been taken several notches up in the modern world. One such innovative mobile app created exclusively for the adventurous types and outdoor activity-loving people, the trail tracker app, is the latest offering from contemporary mobile technology. With GPS not only having changed the face of travelling and exploration but also effectively keeping tabs on anybody’s whereabouts, trail tracker apps have been developed for the benefit of those who wish to go on a trailing expedition to any location in the world without any qualms. Navigation applications that include all of the local tracks pre-loaded about a particular geographical location are not just one of the latest hiking technologies but an instrument that gives peace of mind to the users and their family members as well. Gone are the days when users had to fumble with OS maps in howling winds and try locating the much-needed compass among the umpteen things stuffed in their jacket’s several pockets or their rucksacks. For that matter, the once-important heart rate monitors that consumed battery power and were clunky and not so reliable after a period of time have gone obsolete as well. All the functions performed by such formerly used equipment have been provided in an easy-to-use and completely reliable manner on your Smartphone, thanks to technology. Technology has been adopted in a considerably increasing manner by not only professionals and individuals for their daily activities but also by those heading out to enjoy outdoors and achieve a sense of adventure and relax simultaneously. Using technology greatly enhances the outdoor experience. It ensures safety, helps improving communication with others, analyzing individual performance and sharing information with like-minded enthusiasts as well. There are a lot of gadgets from which you may choose the best one for navigating and tracking performance easily and according to your specific use and preference. With digital devices evolving in leaps and bounds during the recent past, there’s always a device and software for the activity of one’s particular liking. Making use of the now common Smartphone or any hand-held mobile device, the popular trail tracker app promises ease of use, accuracy and reliability than one could have imagined. Tracking tools relieve users from having to pore over manuals, troubleshooting guides and FAQs. The modern trail tracker app is intuitive and is ready for action instantly after you download it. 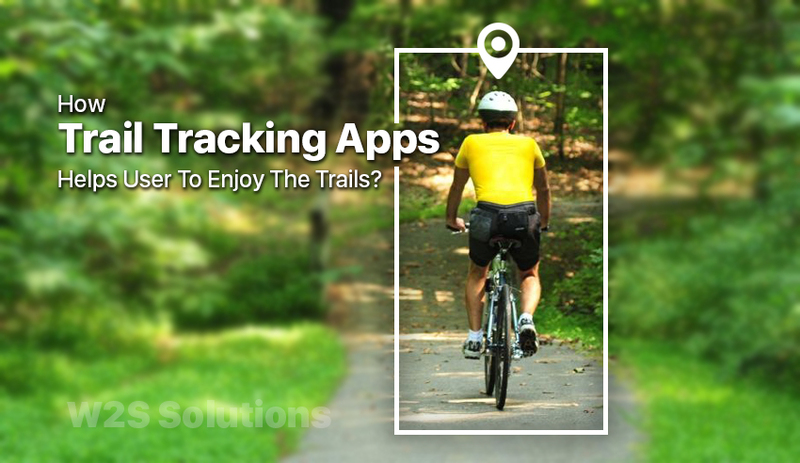 What Makes Trail Tracking Apps Indispensable for Today’s Outdoor Enthusiasts? Compatible with common features such as heart monitors, GPS watches and full smart integration, this app provides not just maps and directions but education and user-specific exercise regimen as well. Coaching is offered in regard to daily workout programs that help you achieve your intended goals. Topics such as running techniques, strength and conditioning, recovery and race preparation and injury prevention are covered in the educative material offered by today’s mobile apps for trailing lovers. Enabling users to explore newer routes and compete with a global community, this app proves to be the most reliable trail and route resource for any athlete or adventure lover. It gives peace of mind to you and your family by tracking your route and empowering you to easily navigate unchartered territories. What Can Trailing Enthusiasts Do With a Trail Tracking App? Recording of trails: You just need to switch on the app and start recording: your trail gets automatically tracked for use in future. This is very useful for trekking sessions. Playing the trails: Your trails walk on the same path that you explore; you may look for your spots of interest while following indications. This lets you enjoy the path required, while being guided during your trail. Automatic alert system: With the trail tracker app installed in your mobile device or smart watch, you may just enjoy your outdoor activity; the inbuilt alert audio system provides correct control of the trail. Sharing your trails: Trail running, hiking or cycling users can share their tracks with friends and others by making use of the social networks. How Can You Use the app? With the humble GPS-related tracking and a mind-bogging range of varied features, the state-of-the-art trail tracker app is a gift to the adventure lovers who wish to explore outdoors and traverse their dream destinations while staying connected to ground reality. Tech Savvy. Content Writer. Growth Hacker. Next Next post: Industry 4.0: The Greatest Phenomenon of the Millennial Generation and what it could mean to them?